Zygaena anthyllidis and Z. exulans are two burnet moths (Zygaenidae) predominantly occurring at altitudes above the timberline. While Z. anthyllidis is endemic to the Pyrenees, Z. exulans has, as is characteristic for glacial relicts, a disjunct, boreo-alpine distribution with isolated populations in northern Europe (Scotland, Scandinavia) and the alpine zone of the central and partially southern European mountain ranges. Relict populations are much more vulnerable than populations with an even or wide-spread distribution pattern. And this not only in the case of catastrophic events, but also in the case of gradual changes such as habitat fragmentation, land-use or climatic changes impact on isolated populations. The aim of the study is to investigate the impacts of such adverse changes on alpine environments and to contribute to our knowledge regarding biodiversity conservation. The two Zygaena species qualify as sensitive indicators to changes of alpine environments as both have limited flight capabilities and their altitudinal range extends that of most other butterfly species. 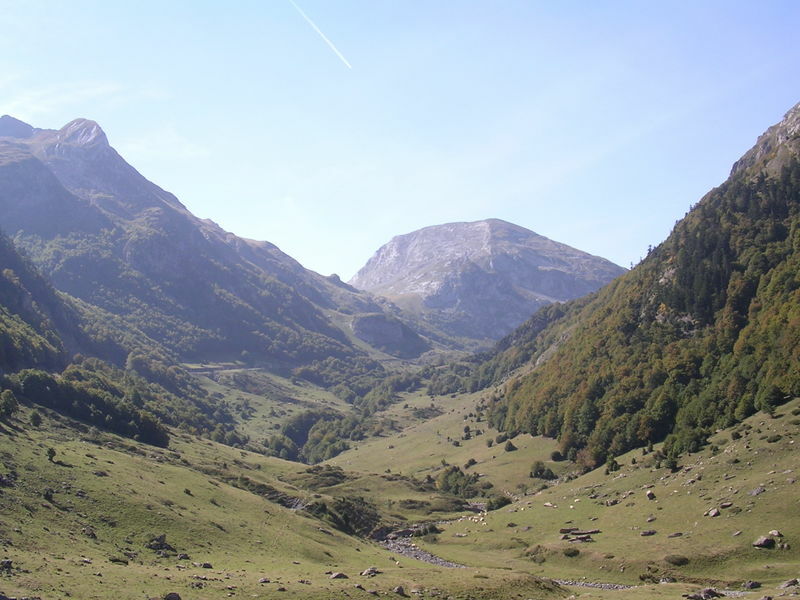 The Pyrenees are a prime study area as the range of the endemic Z. anthyllidis overlaps with the south-western range margin of Z. exulans. Habitat suitability models in combination with autecological studies are conducted to identify those environmental parameters explaining the distribution of the two species at the landscape scale and the species’ habitat requirements. Based on their requirements different grazing measures are evaluated as grazing is regarded as an important parameter driving the species’ abundance and presence. Using these findings and large-scale presence/absence data habitat models will be used to predict the current distribution of the two burnet moths. Additionally a phylogenetic analysis of both species will be conducted. Furthermore the genetic structure of the Pyrenean population of both species will be analysed to complement the ecological studies. AFR extension granted by Fonds national de la recherche Luxembourg. Duration: 01.07.2010 – 30.06.2011.